My Sizzix project this week is all about Hanukkah. 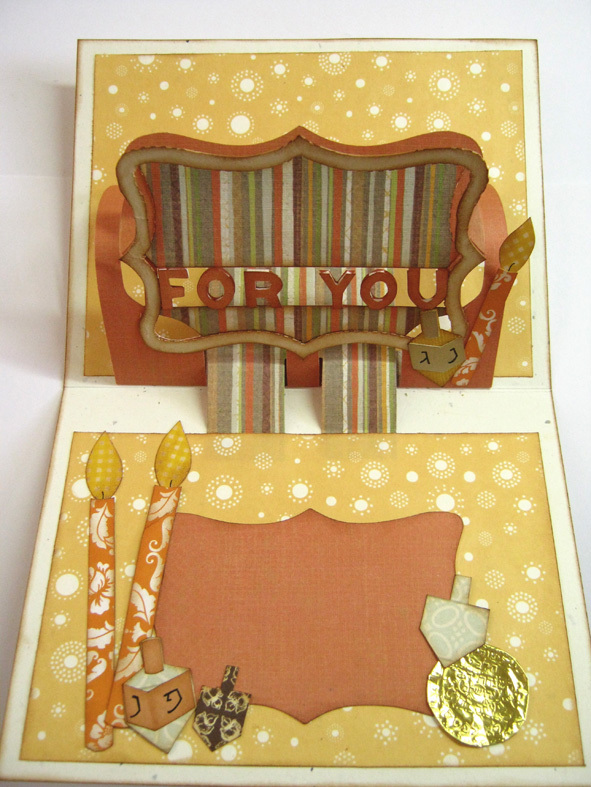 The 3D Pop-up Gift Card Holder designed by Karen Burniston is just perfect for a Hanukkah card and since I won this Die I could make the card with the colors of my choice. Hanukkah is the festival of lights, so all the colors of the card are bright and fiery. Hanukkah is a Jewish holiday celebrated in December, for eight days and nights. In Hebrew, the word “hanukkah” means “dedication.” The name reminds us that this holiday commemorates the re-dedication of the holy Temple in Jerusalem following the Jewish victory over the Syrian-Greeks. In 168 B.C.E. the Jewish Temple was seized by Syrian-Greek soldiers and dedicated to the worship of the god Zeus. This upset the Jewish people, but many were afraid to fight back for fear of reprisals. Then the Syrian-Greek emperor Antiochus made the observance of Judaism an offense punishable by death. Jewish resistance began in the village of Modiin, near Jerusalem. Greek soldiers forcibly gathered the Jewish villages and told them to bow down to an idol, and then eat the flesh of a pig – both practices that are forbidden to Jews. A Greek officer ordered Mattathias, a High Priest, to acquiesce to their demands, but he refused. His five sons and the other villagers attacked the soldiers, killing all of them. Once the Maccabees had regained control they returned to the Temple in Jerusalem that was spiritually defiled by being used for the worship of foreign gods and also by practices such as sacrificing swine. Jewish troops were determined to purify the Temple by burning ritual oil in the Temple’s menorah for eight days. But to their dismay, they discovered that there was only one day's worth of oil left in the Temple. They lit the menorah anyway and to their surprise the small amount of oil lasted the full eight days. Spinning the dreidel: A popular Hanukkah game of spinning the dreidel, which is a four-sided top with Hebrew letters written on each side. Gelt, which are chocolate coins covered with tin foil, are part of this game. Eating fried foods: Because Hanukkah celebrates the miracle of oil, it is traditional to eat fried foods such as latkes (pancakes made out of potatoes and fried in oil) and sufganiyot (jelly-filled donuts that are fried) during the holiday. 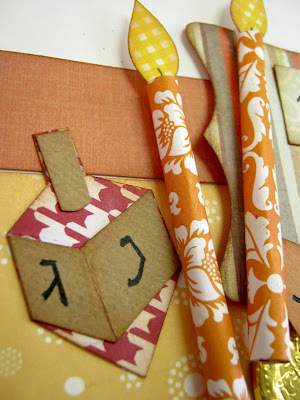 The card is embellished with Hanukkah symbols like candles and dreidels, which are all made with paper piecing technique. 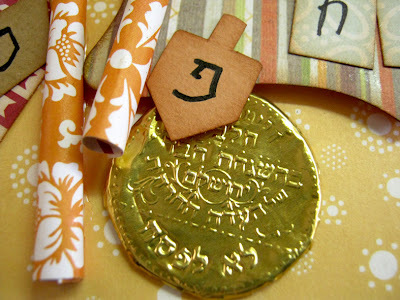 I also added the wrap of the Hanukkah Gelt to give it a little flair. The title on the card sais: Happy Hanukkah. It is appropriate to say Ah Freilichen Hanukkah? Beautiful card. Einat, I love your mix of textures and colors. This is a beautiful project. Thanks for including the wonderful Hannukkah story. beautiful! I love the rolled candles. 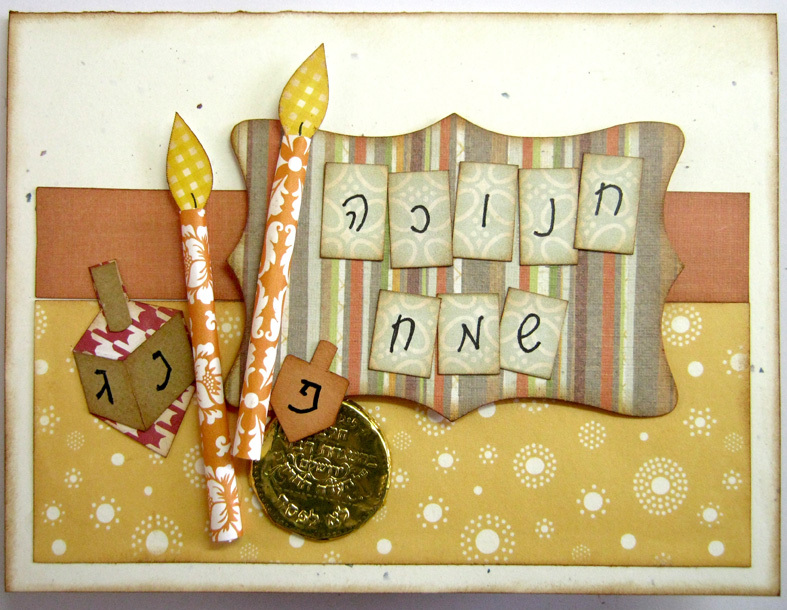 Einat - I love all the details on this card and especially the candles! Einat! This is beautiful! The colors are so festive and I love that you included the story of Hanukkah. I'm so glad your prize die arrived in time. I love the candles and the dreidel hanging from the pop-up! 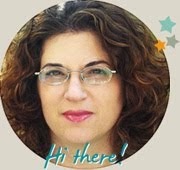 This is just beautiful Einat and I love your history of Hanukkah. Great colors and details! Loving your paper candles! And Happy Hanukkah! Einat, I just love all the details you were able to incorporate on this. It's beautiful. Happy Hanukkah! This has so many wonderful details and ideas. Thanks for sharing the Hanukkah story! So detailed and thank you for including the Hanukkah story! Love all your textures and colors and the embellishments! So very pretty... love how your project turned out and the extra 3-d embellishments! Einat, this is simply beautiful and I appreciate reading the story of Hanukkah! Your colors are fantastic and I love the rolled candles! Beautiful card and colors. I love the dimension created with the candles.